The 2014 Cook County Regional Organized Crime Task Force Training and Conference began on Thursday September 4, 2014 at Hamburger University on the McDonalds Campus in Oak Brook, Illinois and drew the largest number of attendees yet with several hundred law enforcement and retail partners gathered together. 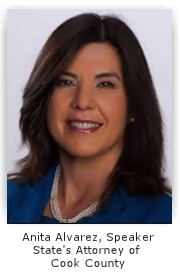 In her opening remarks, Cook County State’s Attorney Anita Alvarez emphasized the importance of these partnerships and explained that the CCROC is being used as a model for other task forces around the country. With over 1,000 members from over 140 law enforcement agencies and 100 private companies throughout the Midwest, sharing resources and intelligence, the success stories are plentiful. Several awards were given to key individuals in both law enforcement and the retail industry, to include several officers from the Chicago Police Department, the Cook County State’s Attorney’s Office, Verizon, Walmart and Meade Johnson. CCROC also for the first time ever provided endowments to two law enforcement families. These families both have a child who suffers from a life threatening affliction. 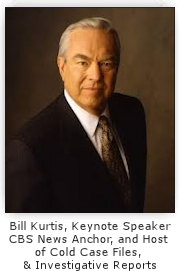 Bill Kurtis, the keynote speaker for the event gave an excellent presentation on the JFK assassination, presenting different theories on the number of shots fired, who fired them, and in the end described it as the greatest murder mystery of all time. The presentations were all completely filled with attendees spilling into the hallways. Topics discussed were ORC, Terrorism, and Cold Case investigations. Attendees were also able to hear from an Ex-Offender on what motivated him, how he stole, what he looked for and how he profited from the sale of stolen property. His tips for keeping property safe were quite interesting. Overall the first day of the conference was hugely successful with great workshops, lots of networking, and numerous vendors sharing their products to assist law enforcement and retailers in the area of loss prevention and asset protection. By the looks of tomorrow’s agenda, it will be just as interesting!